Serving the pitched roofing market for over 125 years. W. Swindells & Son (roofing) Ltd carry out new roof tiling works along with strip & re-tile works. We carry out tiling works using all major manufacturers tiles such as Marley Eternit, Monier ‘Redland’, Cemex ‘Russell roof tiles’, Sandtoft, Forticrete and Quinn roof tiles. Tiles range from large format concrete/ clay tiles to concrete / clay plain tiles and handmade tiles. We are currently undertaking various new build roof tiling projects for recognised house builders and construction companies such as David Wilson Homes, Lovell partnerships and Wates living space. 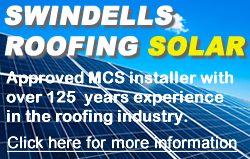 Swindells roofing are also offer re-roofing solutions, not only do we offer this service to private home owners but we have over 5 years experience in carrying out large scale re-roofing programmes for housing associations and councils. Over the last 5 years we can count South Liverpool Housing Trust, City West Housing Trust, Weaver Vale Housing Trust, Halton Housing Trust and various others as satisfied customers. We have experience in undertaking more complicated roof constructions such as mansards and curved roofs (see gallery for pictures). Swindells Roofing helps out DIY SOS and Children in Need. In a episode of DIY SOS Swindells Roofing supplied and fitted all the rainwater goods on the Norris Green Youth Centre. © 1885 - 2017 W. Swindells & Son (Roofing) Ltd. All Rights Reserved.